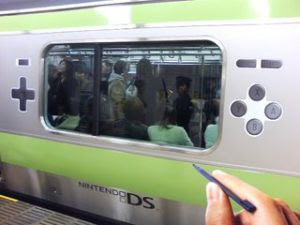 Starting February 14th, train riders on the Shinkansen bullet train between Hiroshima and Tokyo will be offered free Nintendo DS systems and games for rent for a three day period. Only twenty will be available each day. Video rentals are not popular in Japan and this method hopes to encourage more rentals and more train riders versus other methods of transportation.